Monarch Air Group provides private air charter in Lod, Israel. Our clients benefit from top-notch service, unrelenting dedication to safety, wide selection of aircraft, and years of experience in chartering private jets. To obtain a free quote, please use our online quoting tool provided below, or call toll free 1-877-281-3051. Located 15 km southeast of Tel Aviv, Lod is not as popular and rich as Jerusalem and Tel Aviv, but some tourists strive to visit this mixed Jewish-Arab destination that boasts spectacular beaches. The old city has a rich history that you can experience only if you visit it. 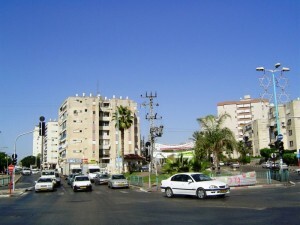 With a critical railway and road junction, Lod is known as a major transportation hub of Israel. The country’s main international airport, Ben Gurion International Airport, is situated on the outskirts of Lod. It is one of the best airports in the Middle East that handles around 16 million passengers a year. Our operators are standing by 24/7 to assist you in scheduling your next luxury air charter to Lod, Israel. Call us today for a free quote.